Also known as deferred giving or planned giving, the phrase means that you are taking action today to make a gift that is given at some future date or at death. In most cases, planned gifts are written into your Will or other future estate instrument such as a trust, life insurance policy or retirement plan. Choosing the right planned gift depends on your personal circumstances and financial objectives. Here are a few options to consider. Disclaimer: Nothing within this website should be construed as legal advice. The following wording is for information only and should be discussed with your attorney. Bequests are statements in your Last Will and Testament directing portions of your assets to loved ones and charitable organizations, such as the Community Foundation of Shelby County. These future gifts allow you to use your assets for needs during your lifetime and, depending upon the kinds of assets you hold, may help reduce taxes for your heirs. When we receive a gift from your estate, we put it to work to benefit the greater community or any aspect of it that you request. Bequests may be written into a new Will or added as a codicil to an existing Will. Note: The legal name to include the CFSC as a beneficiary or in a bequest of any kind is: The Community Foundation of Shelby County, an Ohio nonprofit corporation (FEIN 34-6565194). Click here for downloadable bequest language. I give, devise and bequeath to The Community Foundation of Shelby County (FEIN 34-6565194), an Ohio nonprofit corporation, _____________________________ (percentage of estate, specific dollar amount, marketable security, tangible personal property, remainder of estate, etc.). At death, IRAs and retirement plan balances are included when calculating estate and income taxes, reducing the amount your beneficiaries may receive. Reductions may be as high as 85% of the balance you had hoped to pass to loved ones. When given to the Community Foundation, no taxes are due and the gift is not diminished, preserving the balance to benefit the community. Naming the Community Foundation as a primary or secondary beneficiary of a life insurance policy is a great way to fund a gift to support the future of our community or as a ‘Plan B’ if the primary beneficiary is deceased. If ownership of the policy is transferred, a current income tax deduction is possible. Those donors over age 55 who want a combination of a charitable deduction and steady payments for life may consider the Charitable Gift Annuity. Fixed payments are made back to the donor or to others for life. The payments are based on age and the amount of the gift and are at a rate much higher than most low-risk investments. View details on the Charitable Gift Annuity. Another type of a payment arrangement, a Charitable Remainder Trust (CRT) provides income for life or for a fixed term. In this case, you work with your attorney to create the CRT document and fund the trust with a gift. At the end of the donor’s life or the fixed term, the remaining assets are placed in a charitable fund at the Community Foundation. The tax deduction is based on the trust’s charitable portion. A Charitable Lead Trust (CLT) is the opposite of a Charitable Remainder Trust, in that the CLT’s income is gifted during a donor’s life or a fixed term to a charitable fund at the Community Foundation. At the end of the donor’s life or term of the trust, the remaining principal is then returned to a beneficiary, the donor or the donor’s heirs. The tax deduction is based on the trust’s charitable portion. 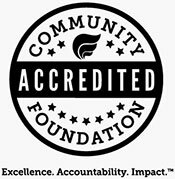 Have you included the Community Foundation of Shelby County in a deferred gift or your estate plan? Please contact Jessica Fortkamp or Marian Spicer so they may have an understanding of your plans for the gift. You may also be listed as a member of our Legacy Society, a listing that notes the names of individuals and couples who have informed us of a deferred gift. You need not disclose the amount or type of gift you are planning, but it is helpful if we can discuss how your gift is to be used in the future. Requests for anonymity are always honored. Check our Give Now section for information about ways to give from current assets.